The Truong Hai Automobile Company (Thaco) plans to export locally manufactured buses, cars and semi-trailers as well as spare parts and accessories to the US, Canada, Thailand, Singapore and the Philippines worth 60 million USD in 2019. 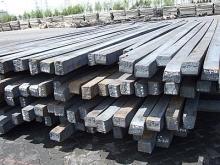 Director of the manufacturing section of Thaco Nguyen Quang Bao said the plan followed agreements with partners. Bao said the first batch of 350 buses and 1,400 trailers would be delivered to customers in Thailand, Singapore, the Philippines, the US and Canada, while Kia Sedonas with 40 percent of locally made accessories and spare parts would be exported to Thailand later this year. He said Thaco also planned to build a new truck factory at the Chu Lai-Truong Hai Automobile Industrial Zone with a capacity of 50,000 trucks per year, while the existing commercial Kia automobile manufacturing plant would be upgraded to produce 50,000 Kia cars each year for domestic sale and export. The director said Thaco planned to produce 110,000 vehicles in 2019 including 75,000 commercial cars and 35,000 trucks, buses and trailers for the domestic market and export. Thaco has manufactured and distributed vehicles for foreign brands such as Kia (the Republic of Korea), Mazda (Japan), Peugeot (France) and BMW (Germany). In 2013-17, Thaco began exporting locally manufactured Mazda cars to Laos, and accessories and spare parts to the Republic of Korea, Malaysia, Russia and Kazakhstan, as well as plastic components for commercial cars to Russia and Malaysia. 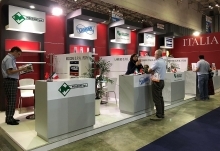 The Quang Nam-based automobile maker acquired a 51 percent share in Korean Soosung Motor Technology company to produce cranes, dumps, concrete mixer trucks and tankers in the Republic of Korea in 2013. 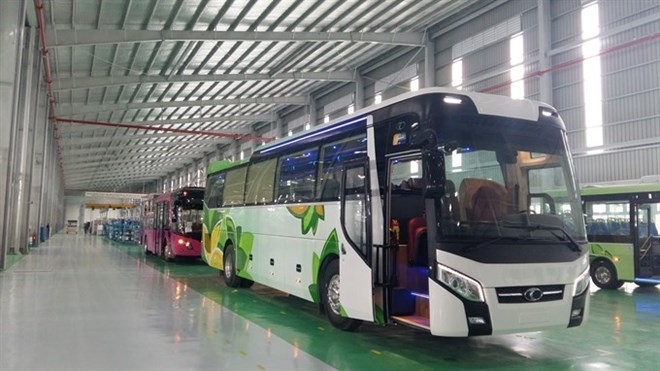 It also has developed 24 plants to produce windscreens, chassis, seats and wiring for buses, trucks, touring cars, trailers and special purpose vehicles in the Truong Hai-Chu Lai Automobile Industrial Zone.